Manchester United has made a final decision on Paul Pogba future of whether Jose Mourinho remains at Old Trafford or not they will consider offers for his services for the World Cup winner. The 25-year-old midfielder has publicly fallen out with Portuguese coach and France international was stripped of the vice-captaincy earlier this week before the pair clashed at Carrington training ground on Wednesday afternoon. 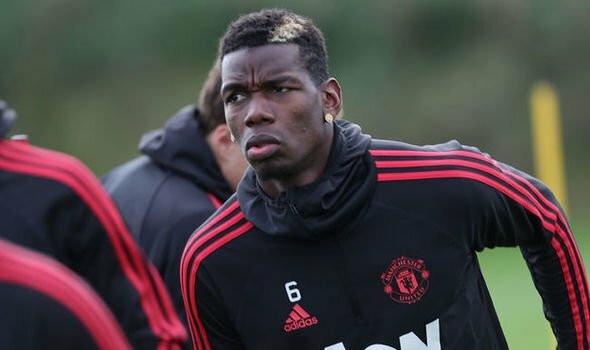 Manchester United hierarchy have thought that Pogba would remain with Premier League runner-up of the last term if Mourinho partway with the Red Devils. However, the club management are now convinced he will push for a transfer to Barcelona with agent Mino Raiola is in constant contact with La Liga Champions officials ahead of January move. According to the Independent claiming that Manchester United board members have accepted, that they will now listen to offers for the French midfielder with Raiola determined to push for a deal for his clients in winter transfer window. Pogba who did not feature in his Carabao Cup defeat by Derby County on Tuesday, as the Red Devils were knocked out the competition on penalties by the Championship outfit.